Like so many people, I recently bought a new iPhone, the iPhone 6 Plus to be more precise. And like so many people, the question arose whether to get a case, a sleeve or just carry it as is. I have never been a huge fan of cases for numerous reasons, they add bulk for one and destroy/hide the awesome piece of design that is an iPhone, so I dismissed that option pretty quickly. For the past few years, I had bought leather pouches made by a small company called Götterlust (which literally means Gods desire) located in Bavaria. Sadly, they don’t offer any sleeves for the 6plus yet, and to be completely honest their products have gotten worse and worse over time. So I was on the market for something new. That’s when I discovered the FitBag product line. It, too, is produced by a smaller company here in Germany (not that it would have been an requirement, but it was definitely a plus) and comes in many materials, colors and sizes. The one I picked up (through Amazon) is a simple, black pouch. 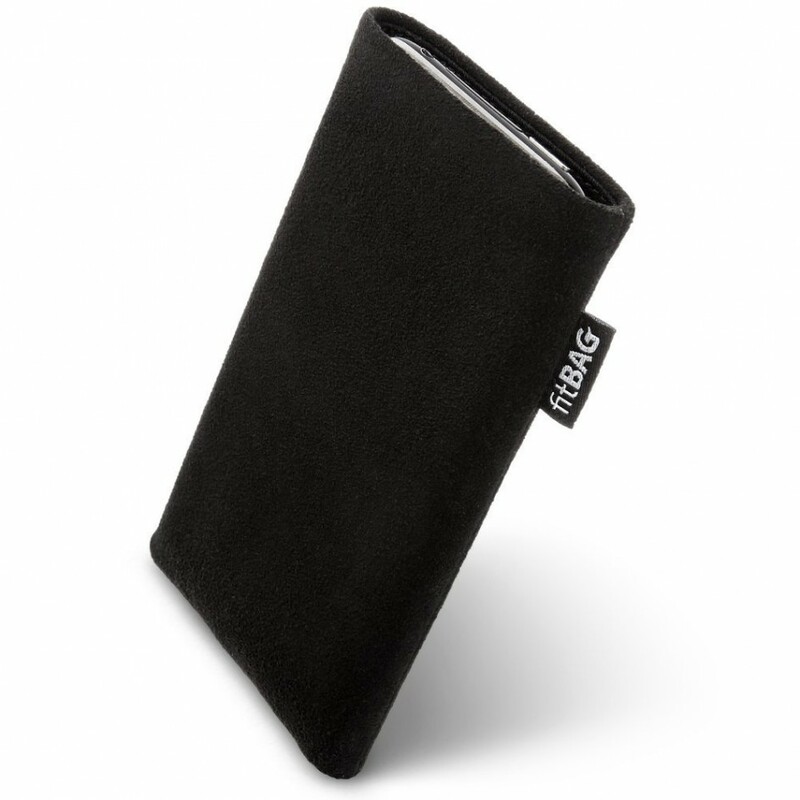 It’s made out of Alcantara leather and also has a MicroFibre lining on the inside, so my iPhone hopefully won’t be covered in fingerprints anymore. The fit of the product is pretty good. Reportedly it still fits if you use an Apple leather case to protect your iPhone, but as snug as it fits even without it, I doubt it’ll be easy to get the iPhone out of the pouch with the case on. If you ever get it in there in the first place. Overall it looks and feels like a high quality product, despite being rather on the cheaper side (right now, the pouch is available on Amazon for $27.90, including free shipping from Germany). And if you didn’t get an iPhone 6 Plus, you can also get this awesome pouch for a number of other phones (like the LG G3, the iPhone 5/5S and 6, Nokia Lumia 930, …).